22 Best Kmart Hacks You Would Want To Do YourselfGet Your Inspiration In One Place! 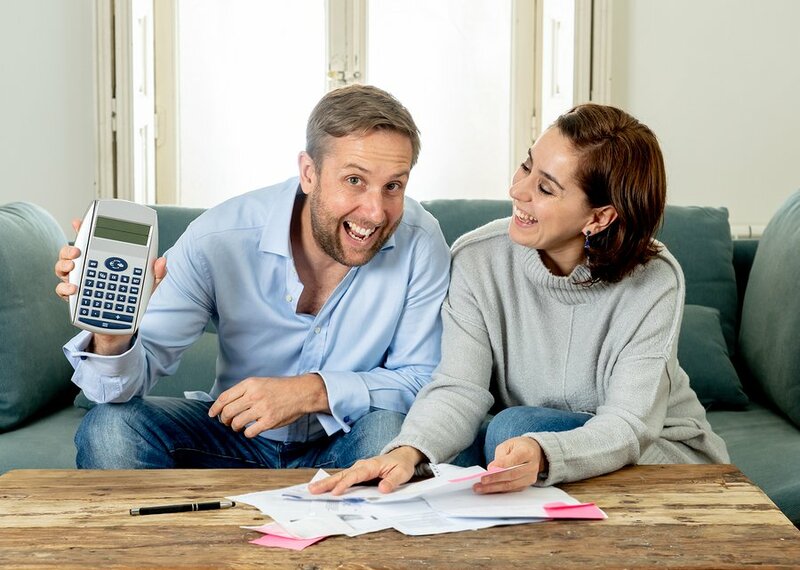 In recent years, Kmart has hit the big time, and with it creative folks have started to make the bargain retailer’s items their own — we’re talking about Kmart hacks! Yes, as Kmart has grown in popularity, Kmart hacks have become the cheap and accessible version of the IKEA hacks. From cheap kids’ options to total furniture overhauls, this is the place to go for all your Kmart hacks! 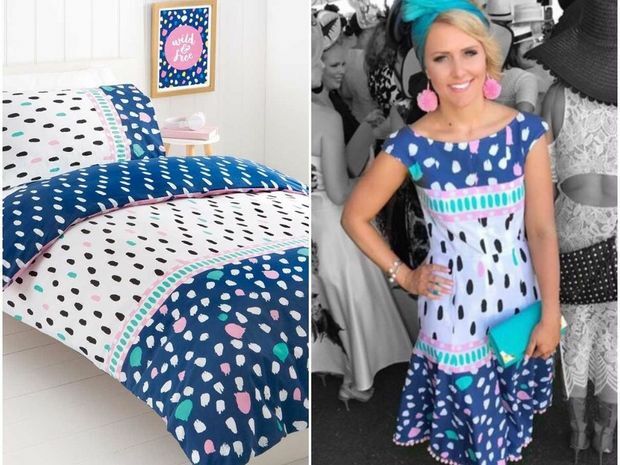 This clever clogs has managed to transform a super affordable Kmart doona cover into a piece of fashion. We can’t even tell it’s a doona cover, it just looks great! 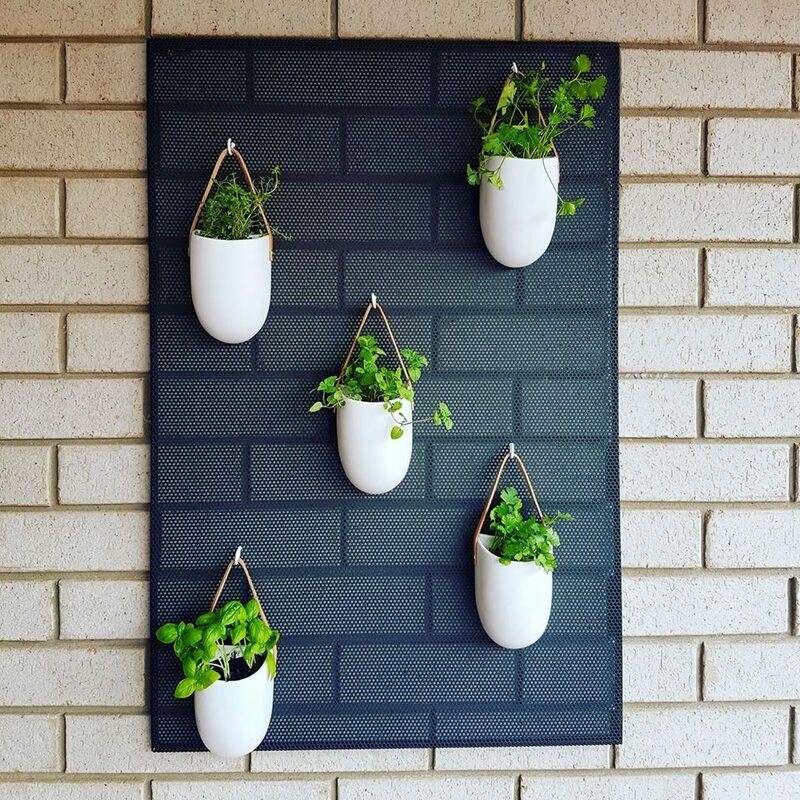 A hanging herb wall that makes use of Kmart’s adjustable metal wall sheet, white screw hooks, and mini hanging strap planters. Altogether, it’s a massive success! 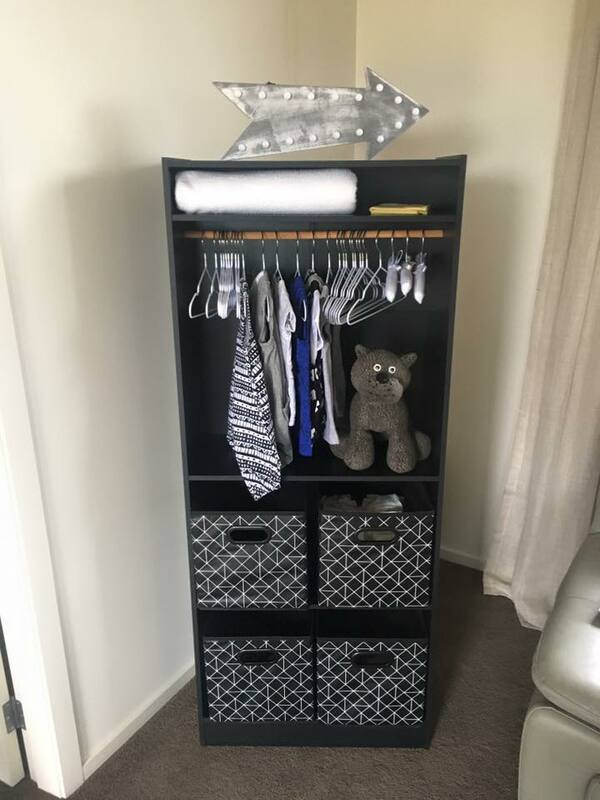 One creative mum has taken a Kmart bookcase and hacked it to be a baby wardrobe. 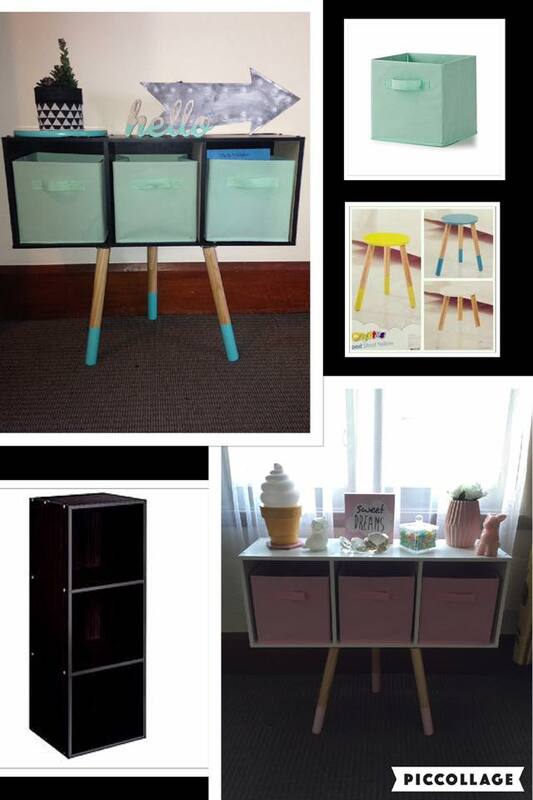 We spot a few other Kmart items in this hack as well, including the drawers! For delicious kids fashion, you can’t go past these Kmart hacked children’s shoes. 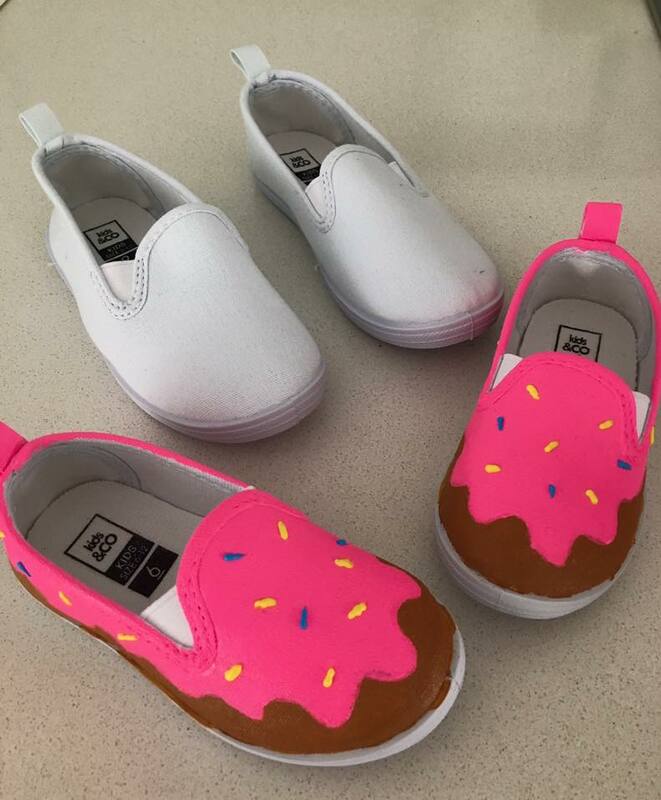 They’ve just taken a pair of simple white shoes and painted adorable donuts on them with fabric paint! 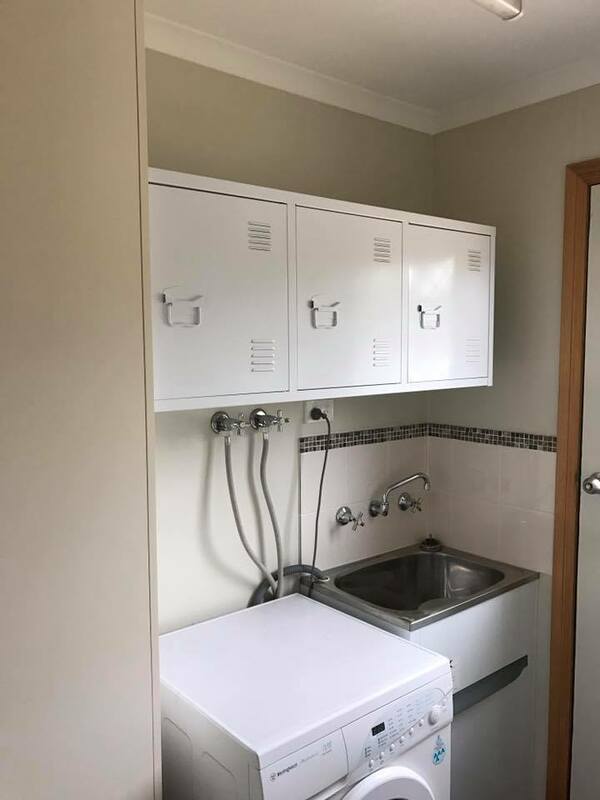 In this clever hack, a Kmart locker entertainment unit has the legs removed and is turned into a stylish laundry cabinet. It’s so retro, we absolutely love it! 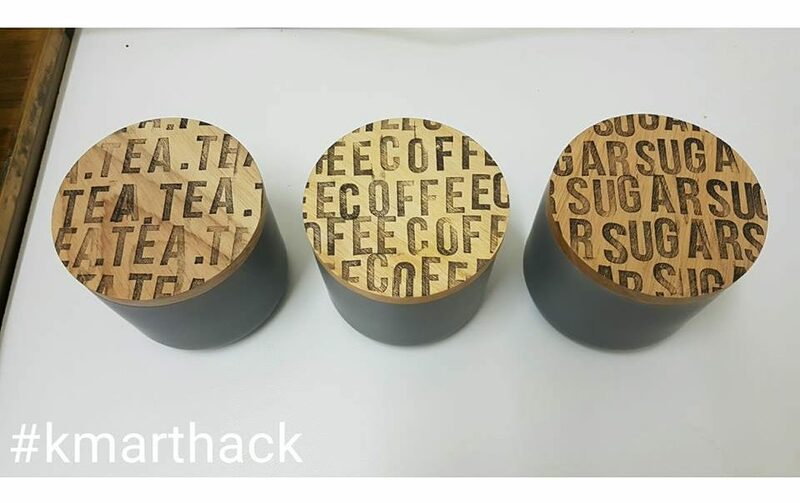 Some super cheap Kmart canisters are reimagined with the help of a stamp set (also from Kmart) into these uber cool designed tea and coffee station storage jars. 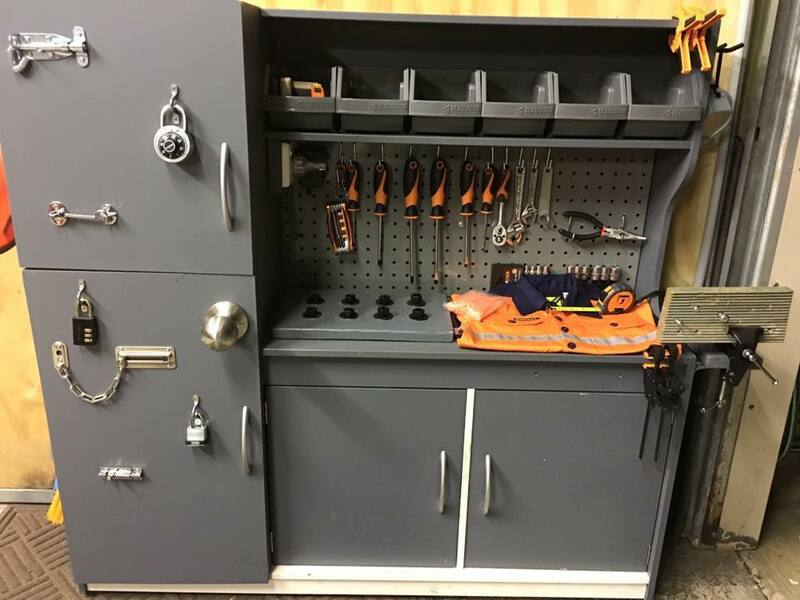 You’ll never look at a Kmart kid’s kitchen the same after seeing this hack, which has turned the humble kitchen toy into a super cool work bench! 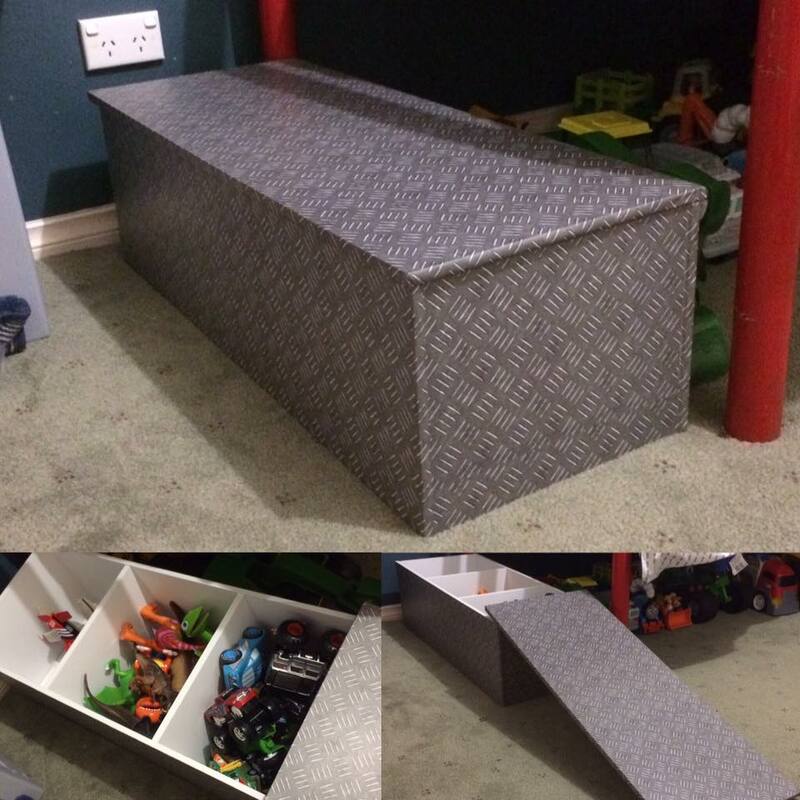 When her son wanted a toolbox like his dad, this mum took a Kmart 3-tier shelf, covered it in contact paper (not Kmart) and made it into a sectioned toy box. Here, this Kmart locker entertainment unit shines after being reimagined into a mid-century locker cabinet, thanks to some ply wood and line moulding and liquid nails! 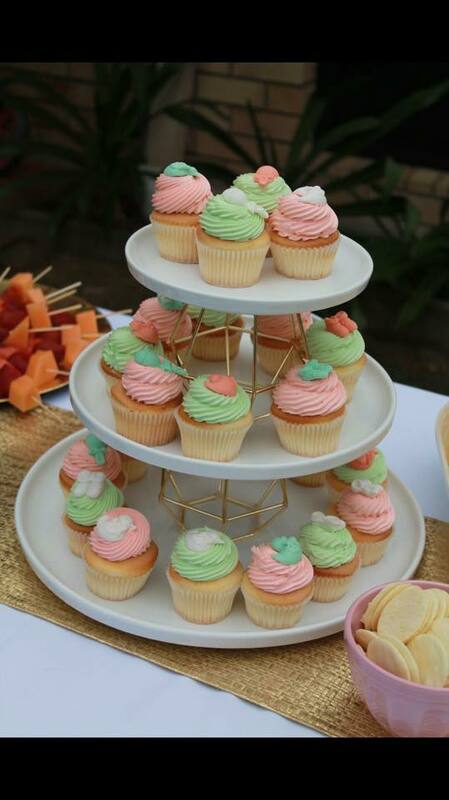 What looks like an intentionally designed, and frankly stunning, cupcake stand is actually just three different sized Kmart plates and some Kmart candle holders. Creative! 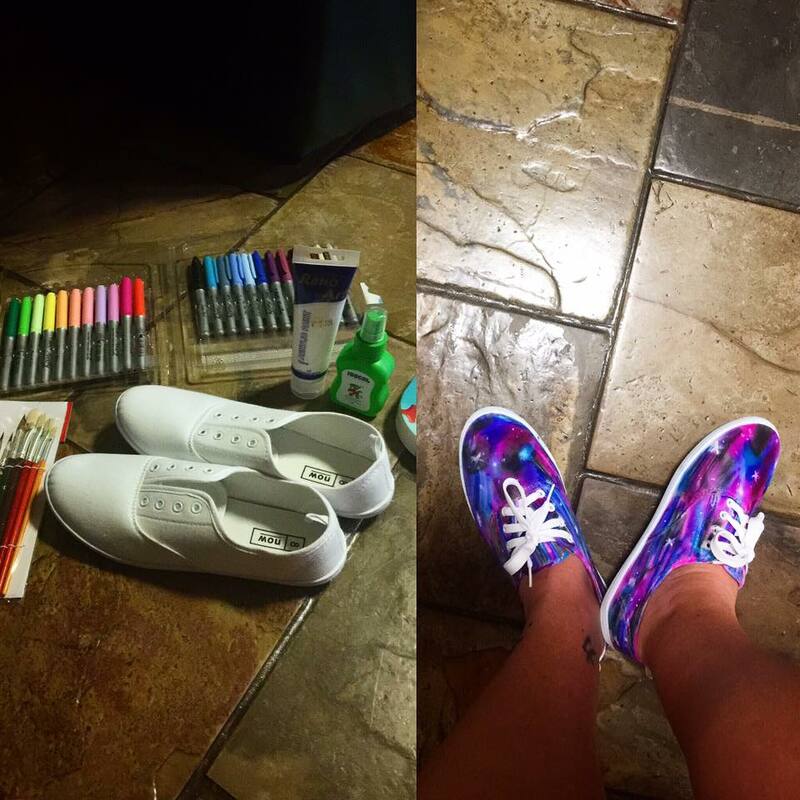 Create some stunning space in your life with this Kmart shoe hack which involves colouring in the shoes with Sharpie (from Kmart) and then spraying some rubbing alcohol to get the colours running. 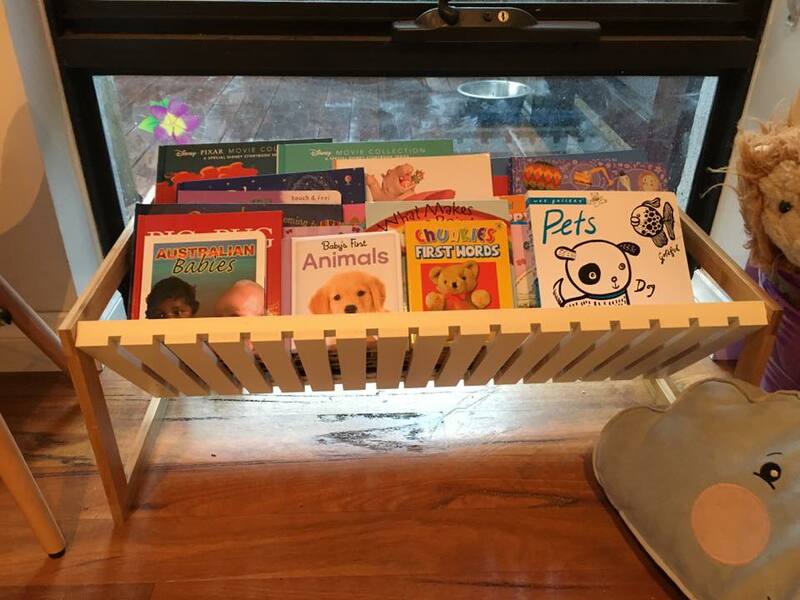 If you can believe it, this adorable baby book rack is actually made from a Kmart shoe rack! Perfect for an on-the-ground solution to book storage for little ones! 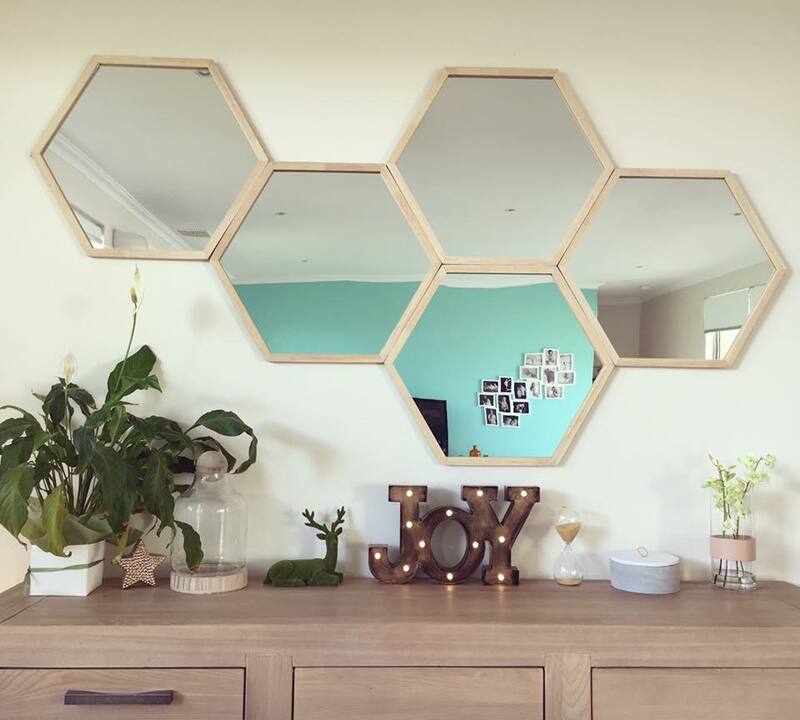 Why settle for just one hexagonal mirror when you can use it to create a honeycomb? We’ve seen this hack a few times now, and it always looks fantastic! 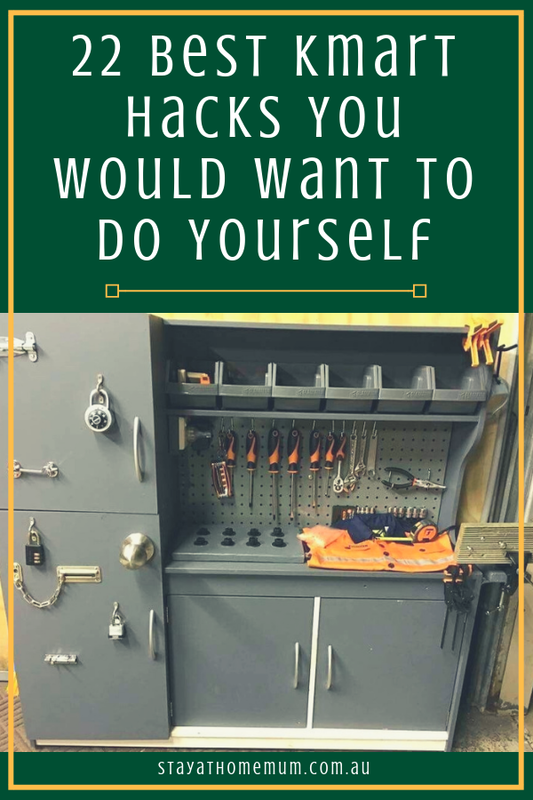 The adjustable metal shelf makes another appearance in this hack, which provides the ultimate pool caddy for busy kids and adults enjoying a day in the water! 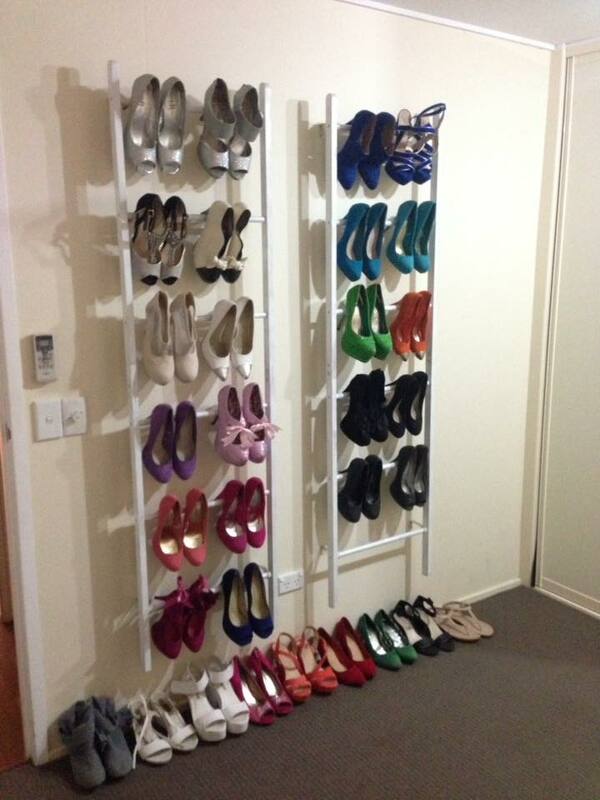 If you’ve got heels, you need to take a look at this shoe rack for heels, made from two of Kmart’s bamboo racks that have been painted white and mounted on the wall. 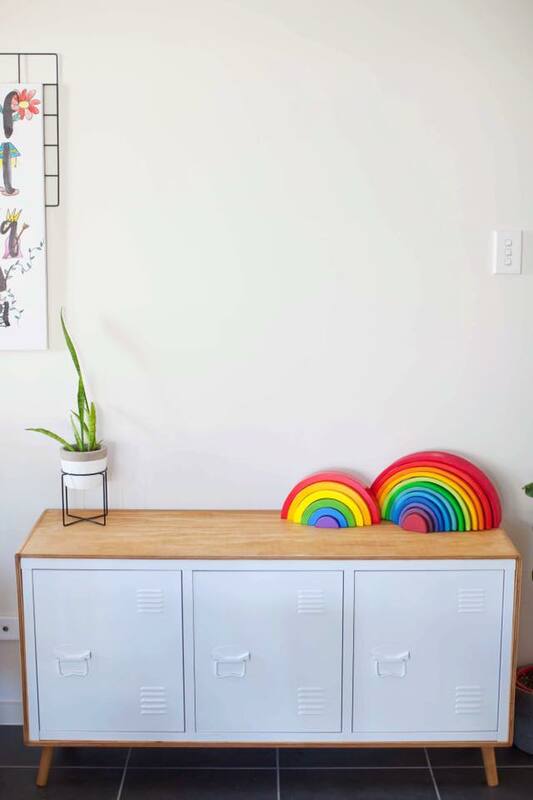 This super cute retro kids shelf was made using the legs off Kmart’s dipped stool, along with the 3-tier square bookcase (also from Kmart). We love it! 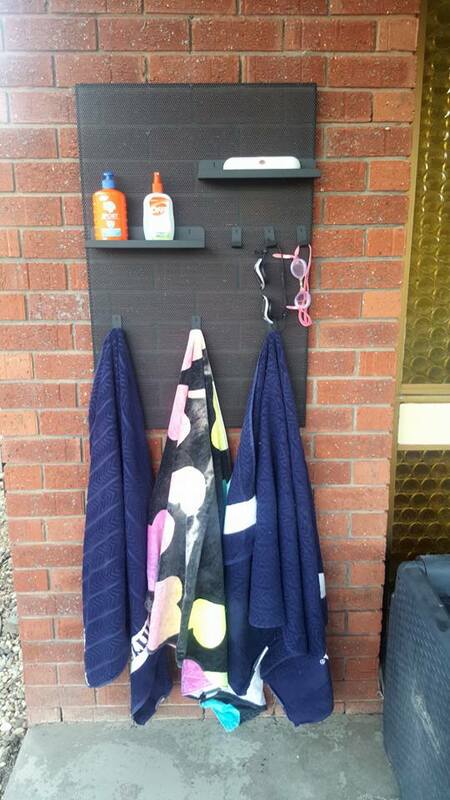 Pegboard hacks have been a favourite since Kmart released their pegboard products. 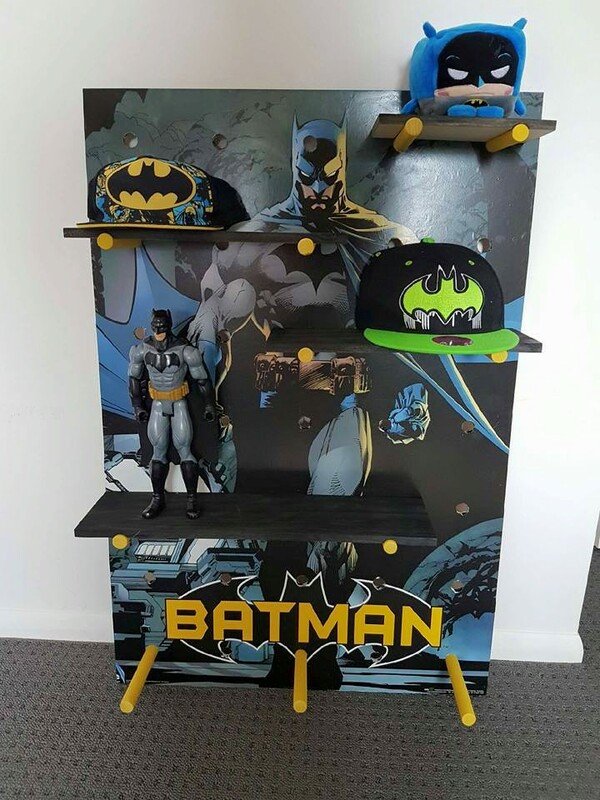 This one has a Batman theme, using pretty much all Kmart products, and some paint! 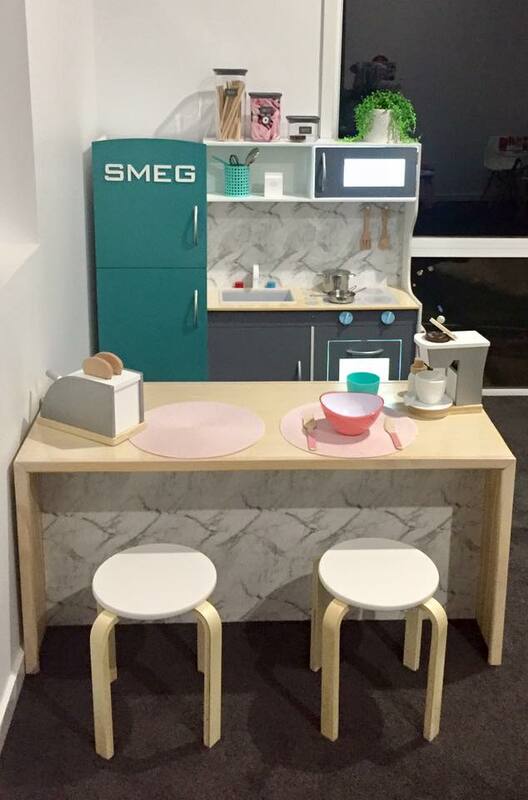 This Kmart kids kitchen looks nicer than our real kitchen after a Kmart remodel. The kitchen itself is mostly Kmart products, which is just amazing! 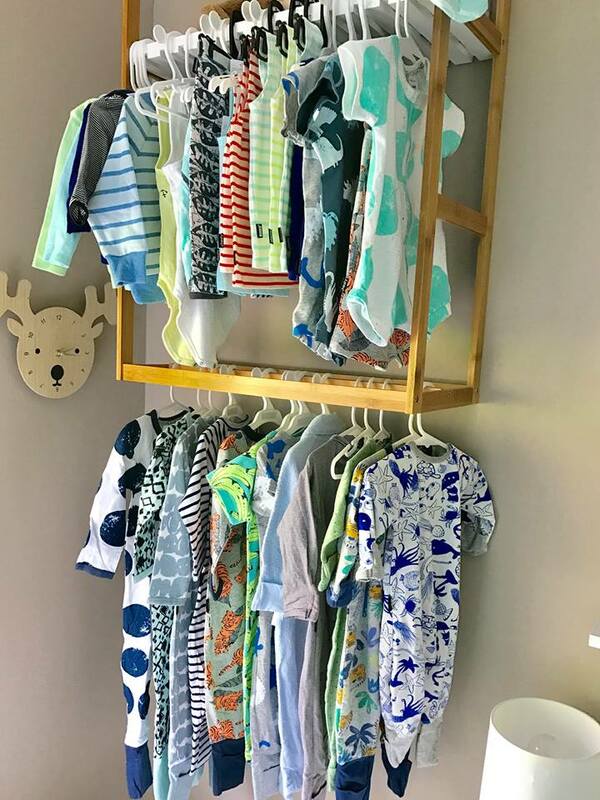 Wanting to show off her son’s cute clothes, this mum took a Kmart towel rack and mounted it on the wall upside down to create an open kids wardrobe! This is such a simple idea, but perfect for the organised family. 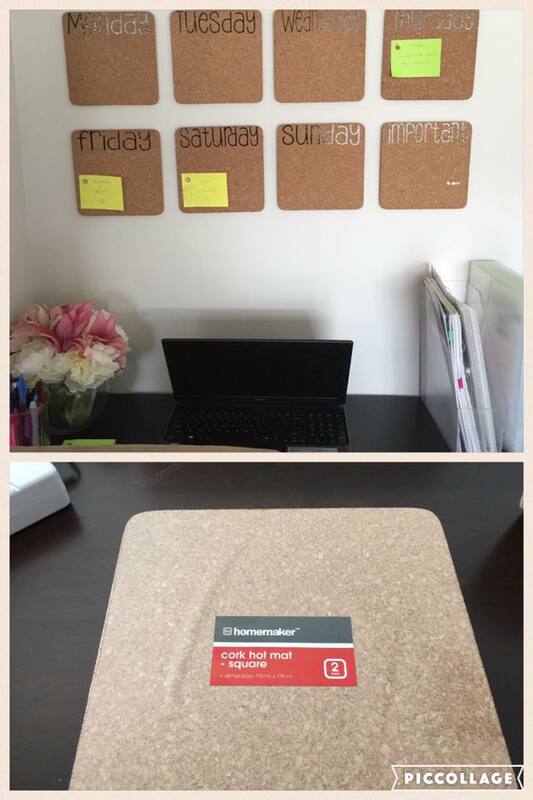 Kmart cork board tiles became daily planner squares, so you can get your life together! 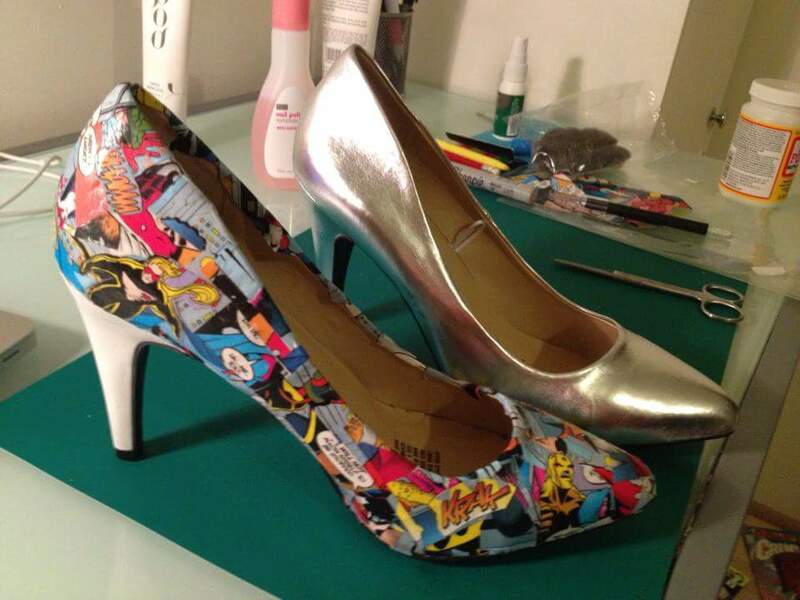 For something really cool, this (literal) clever clogs used some mod podge (not Kmart) to do over a pair of Kmart shoes with some comic book cuttings! Love them! 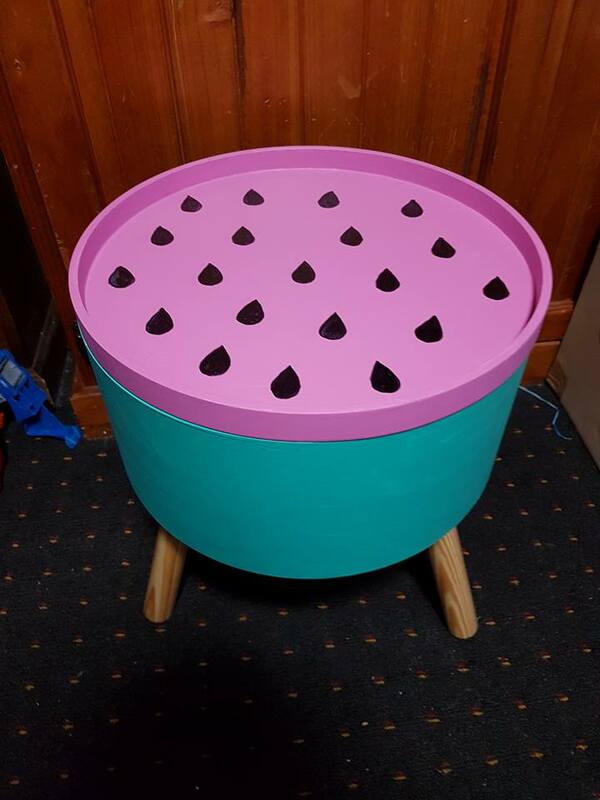 A Kmart side table is made over in this creative hack with a lick of paint to be a super summery watermelon side table. Talk about a delicious hack! What are your favourite Kmart hacks?